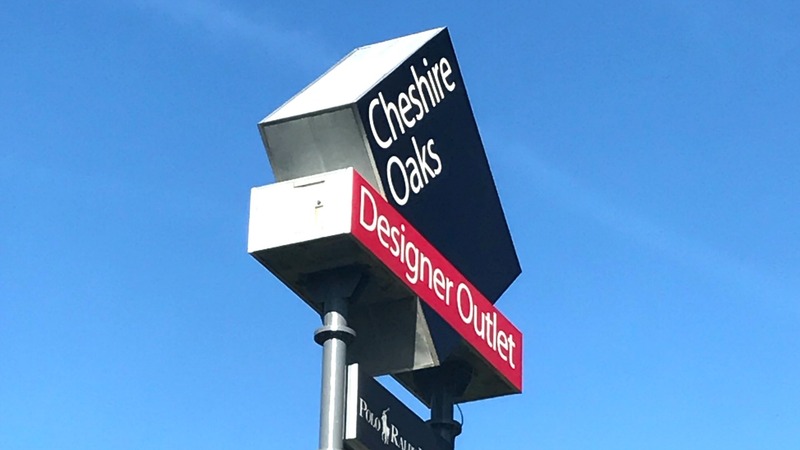 A few weeks ago a group of us went on a road trip from London up North to visit a friend in Cheshire, and whist there we thought it would be rude not to visit the Cheshire Oaks Designer Outlet! 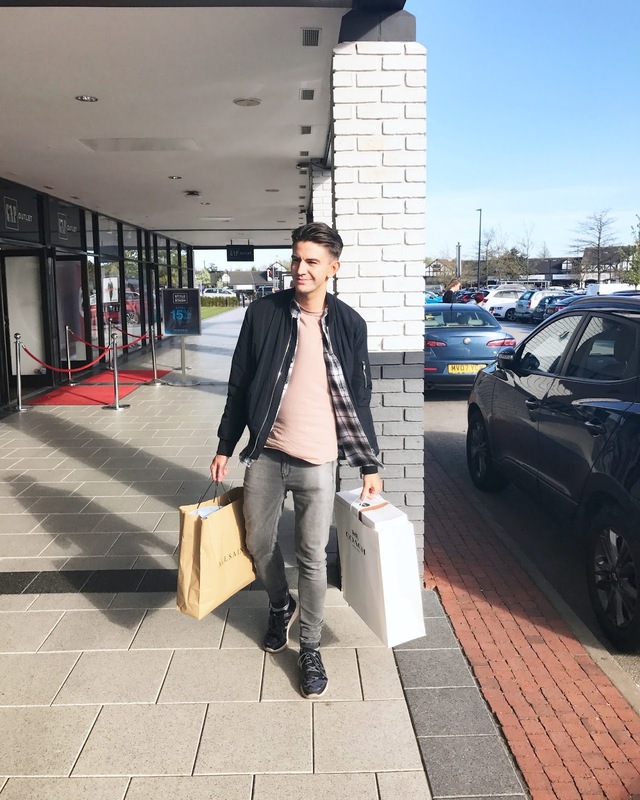 Incase you aren’t aware of it, Cheshire Oaks Designer Outlet is a discount shopping complex, with designer stores all offering big discounts compared to their high street equivalent. 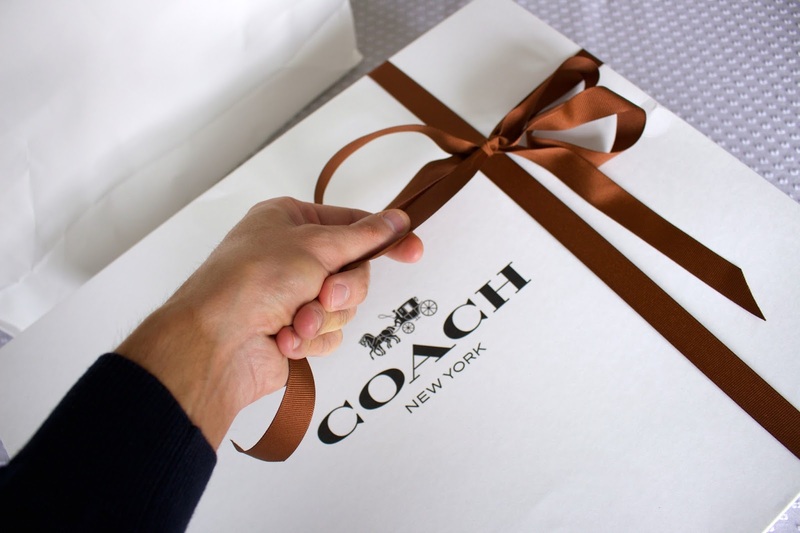 I’ve been to a couple of these sorts of Outlet before (Bicester Village, and Woodbury Common in New York (that’s another story – don’t ever buy 8 pairs of nike trainers which come in paper bags when there is a thunder storm and you need get them back to NYC on a coach. All of the bags broke, so I had to bin the boxes and tie all the trainers together and carry them by their laces!) – That aside I’ve always had a great time at these sort of outlets, probably because I do love shopping and a bargain, and there’s always a few decent food places to stop by for lunch. Cheshire Oaks has a number of high end designer stores, including Armani andBurberry, but also plenty of high end high street like Allsaints and Reiss, along with staples like Gap, Levi’s and M&S. The shops are all outdoors, arranged in a giant circle around the car park, so if you keep walking in a straight line you will end up where you started. I spent the morning doing a recce of all the shops to see what they had in stock. I prefer to do this rather than buy a load of stuff right away and be laden down with heavy shopping bags. One tip I have is to snap anything you have your eye on, on your camera phone so you can remember what stores you want to go back to later! Having been around the entire circuit once (It’s like shopping Formula 1 there) I was ready for a break and re-grouped with my friends. (I prefer to browse on my own, I take my shopping seriously haha). We went for lunch at the Pizza Express there, and I have to say they had the friendliest staff I have ever met, they couldn’t do enough for us and the service was excellent. We also decided it would be a good idea to share a couple of bottles of wine. 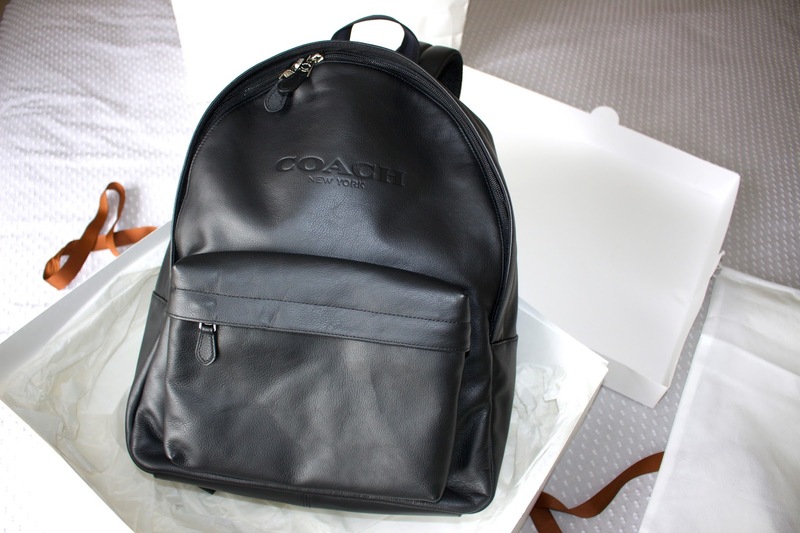 Coach Backpack. I had gone with the intention of getting a good quality leather backpack, something big enough for my laptop and camera gear. I found some nice ones in Diesel but my favourite was the black campus from Coach. They had a separate store for Men’s bags with lots of choice, including some cheaper options that had current designs on. This one was slightly more because it was plain black, I guess because it won’t go out of fashion – but with the additional 30% off after already being discounted it came down to £234.50. The customer service in store was brilliant again. They got me a tape measure and helped me work out if it would fit my laptop (fyi they will fit a 15inch MacBook). 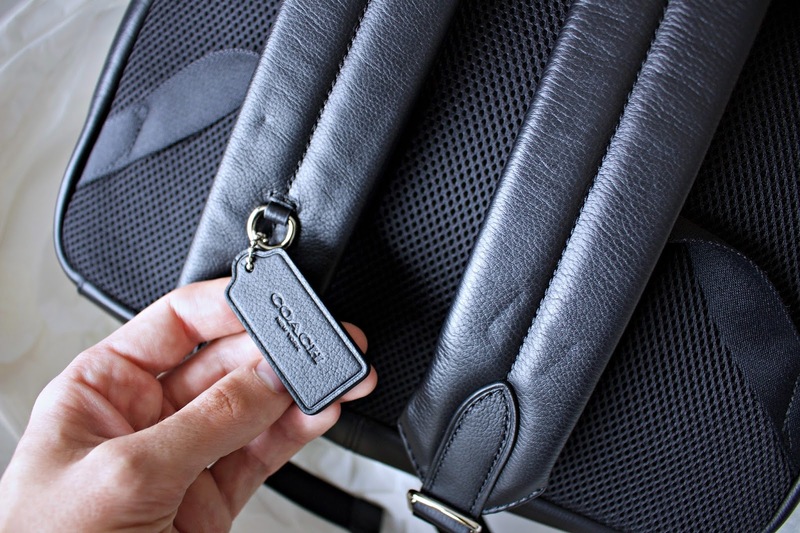 They also explained to me that if I take the tag into the Coach store in Regent Street they will monogram it with personalised text or emojis for me free of charge. I’m still undecided what emoji to get so if you have any ideas let me know! I also got a hand written note from them in the post a few days later – nice touch. 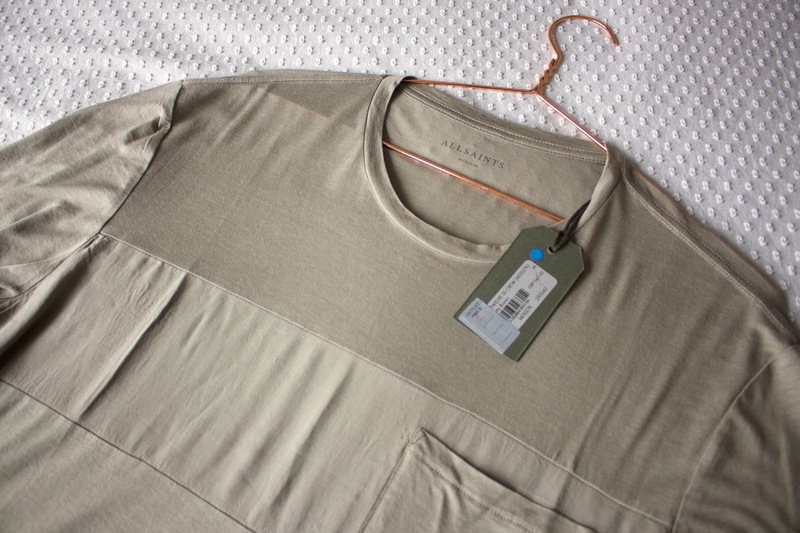 Allsaints Shirt & T-shirt. They had so much great stuff in store but I didn’t want to go crazy. The clothes have different coloured stickers on which indicate what season they are from – i.e. they had SS16, AW15 etc. 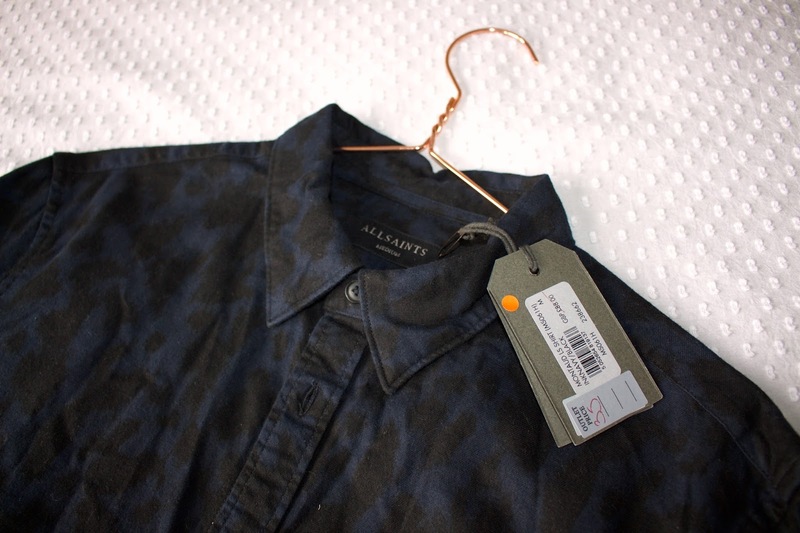 I find most of their clothes are pretty timeless so it’s definitely worth a look if there was something you had your eye on a while back – you might find it for a fraction of the original price. (They also had a further 30% off the ticket reduction). They didn’t have any shoes or trainers though which I thought was odd. Again the staff were amazingly helpful with finding sizes etc, but one criticism – they didn’t take the electronic tag off which meant we had to return to store the following day, which was a bit annoying. Vans. The Vans store was really busy and had a quite a lot of stock but my size wasn’t readily available. I guess UK size 10 is pretty popular! I did find these white old skools for £17 though which I thought was an incredible price and I really like the navy blue sole. 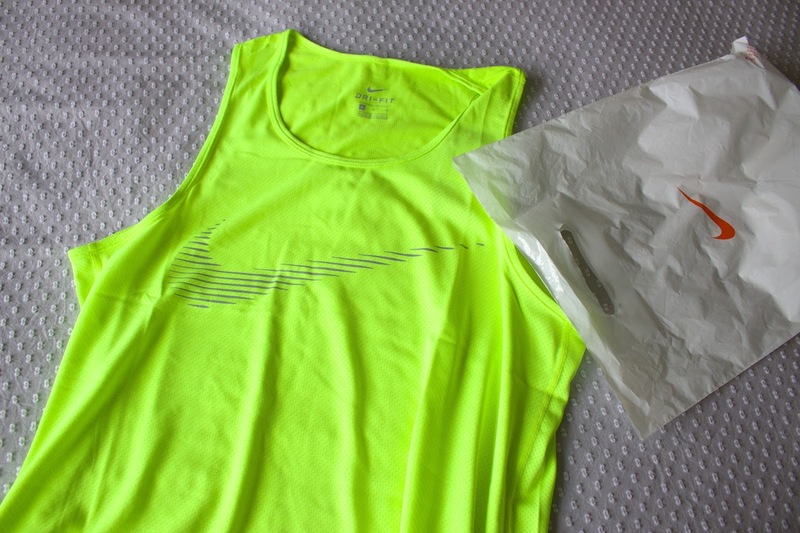 Nike running vest. I wanted something bright for the Marathon so I picked this up. There was plenty of trainers and also several other sports shops – so worth a look if you are into your fitness wear. And that was everything! To be honest I could have got a lot more, but I decided to be restrained after splashing out on the Coach backpack. (Which at the time of writing has been to work and on a few trips with me and I am loving!). Let me know which item was your favourite and if you have any tips for discount shopping!